Attractive in both open and closed positions, the Sigmafocus offers a range of cooking heights. It is easy to attach to any wall (there are only two fixation points). The generous ash pan allows the barbecue to be used a number of times without having to empty it out. The disc that attaches to the wall protects the wall from smoke. 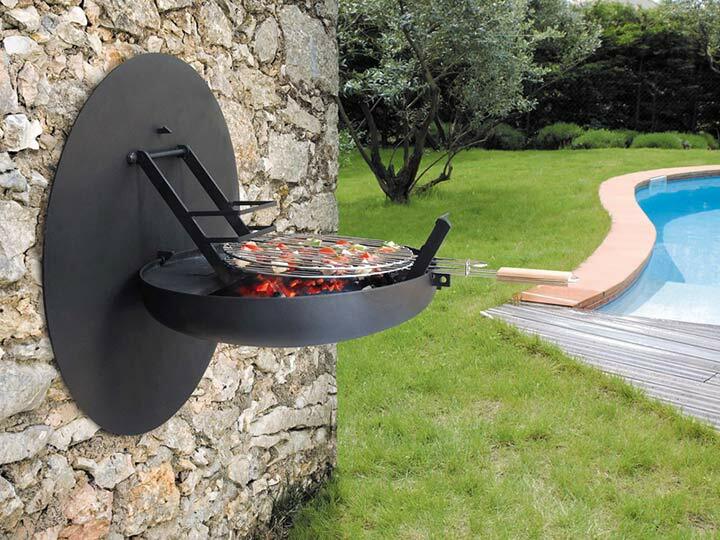 This steel wall barbecue folds up, so that when closed it takes up limited space.